The Palmer Group » Can A Roof Make A Statement? Learn How. Having been in the remodeling and building business for over 30 years we feel very strongly that the type of roofing material that you use can make a real statement about your home. The type of roofing material can project charm, character, elegance, richness, or a feeling of quality construction. What’s the Best Roofing Option For Your Home? Right now there are more roofing options in the marketplace than ever before and choosing one can be a tough decision. Here in New England the choices range from asphalt shingles, wood shakes, slate, steel panels, and synthetic slate and wood products. The most important trend as with home construction materials in general. There is an increasing move towards engineered roofing materials. This change is being driven by a few different factors. Probably the most significant is simply the high cost of wood. Many of the local and state building codes now mandate the use of fireproof construction materials. Lastly there is a little bit of Green in all of us and people want to build with materials that not only look good but are good for the environment and will last for a long time. 1. Asphalt Or Three-Tab Shingles. In the majority of America the most dominant roofing material continues to be the Asphalt Shingle. 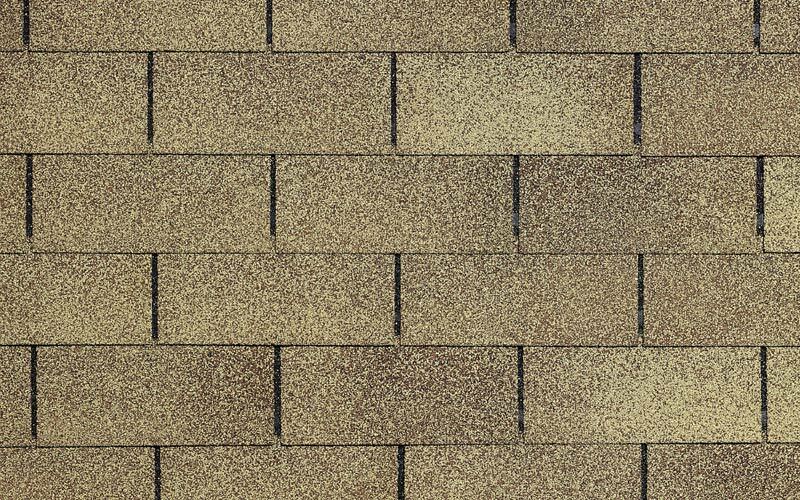 The standard three-tab asphalt shingle is one of the least expensive roofing options. 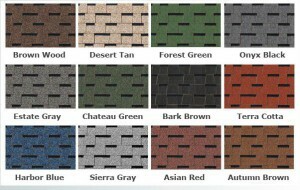 The shingles are available in many different colors both solid and blended. They typically come with a guarantee of 20, 30, 40, years making them an excellent value. Value is the principal advantage of this roofing material which is why it is so popular. The only real disadvantage is that it is so common. Architectural Shingles Common Application To Sell Massachusetts Homes. The next upgrade from the three tab Asphalt Shingle we see in our core towns like Weston and Wellesley is a thicker variation called an architectural shingle. These shingles are built up to be about twice as thick as a normal shingle with layers staggered to give them a heavier more substantial or “architectural” look. If you go with some of the really higher end architectural shingles you will see that certain colors will resemble slate and in other colors wood shakes. 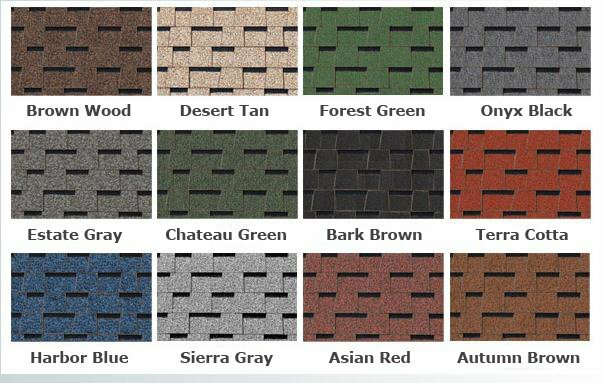 Architectural Shingle Color Choices For Your MA Home. Some of these shingles can carry up to a 50 year warranty. 3. 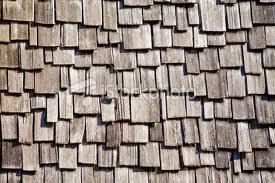 Wood Shingles or Shakes. For Looks We Believe it is hard to beat a wood shingle roof. Over time it weathers out to a gray or soft silver that seems to root the house to the landscape. Several species are used: Western Red Cedar, Alaskan Yellow Cedar and Eastern White Cedar. Shingles are relatively smooth and cut to a uniform thickness, although they vary in width. Wood shakes are thicker and rougher, being split rather than sawn from the logs. Wood roofs are meant to breathe and should be laid over a substrate that allows air to circulate behind them: skip sheathing — wood strips or battens nailed directly to the roof rafters — is the traditional method of installing a wood shingle roof. About 10 years ago a product came out (Cedar Breath) which is a plastic matrix product that is something like a scrubby pad, that allows air to circulate behind the shingles. This product can be laid on top of a building-paper-coated plywood roof deck, making it ideal for a retrofit. Another method of getting air circulation behind the shingles is to lay them on pressure-treated lattice. For all their great looks, shingles and shakes are expensive to install and do require some periodic maintenance, typically in the form of washing to remove any mildew or moss, and then re-oiling with a clear wood finishing product. A properly installed and maintained wood roof should last at least 30 to 50 years. 4. Slate and Fake Slate Roofs. In the Northeast slate was a traditional roofing material for high-end houses. Slate Roofing Is Very Popular In Towns Like Wellesley & Newton. It is beautiful, lasts for generations, sheds ice and snow, and is very expensive. Because of its cost and weight, which requires a beefier roof structure to support, slate is not often used these days. There is an “engineered” product, this time a slate lookalike fabricated from recycled rubber and plastic. 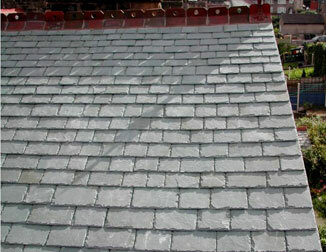 At only about one-third the weight and cost of slate, these shingles can be installed using standard tools and techniques. From the street, the discerning eye might be able to tell the difference between engineered and the real slate, but most of us would be very house-proud with one of these roofs on our homes. Plus, these shingles are guaranteed to last for as long as 50 years. If you have questions about roofing as it relates to buying, selling, building, or remodeling your home please contact us directly, 508-596-7377. We would be happy to help and share our experience with you. Reasons Why We Prefer Hydro Air System. Should I fix Or Update My MA Home Prior To Selling? SEARCH HOMES FOR SALE IN MLS NOW. See Luxury Homes For Sale In Newton MA. This entry was filed under Buyer Tips, Remodeling & New Construction, Seller Tips. You can follow any responses to this entry through the RSS 2.0 feed. You can leave a response, or trackback from your own site.